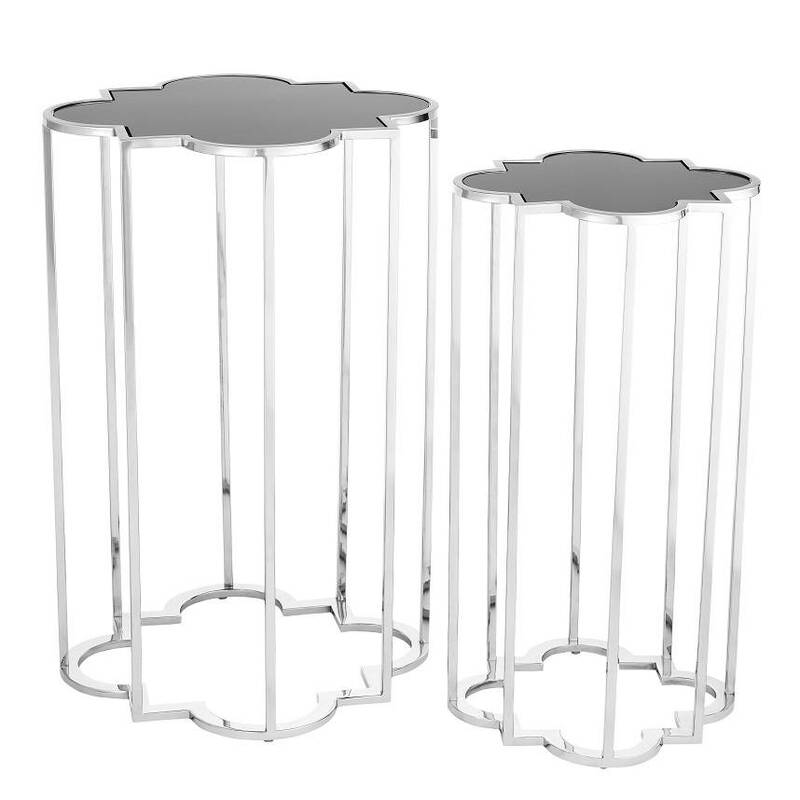 Design side tables Cocentric from Eichholtz. Two tables with small, stylish polished stainless steel legs and a black glass tabletop. 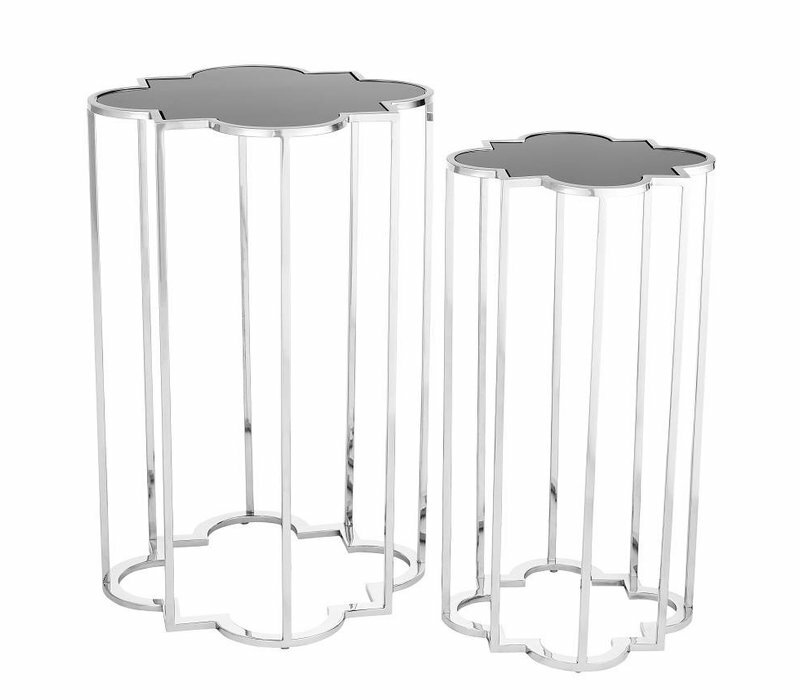 Design side table Cocentric comes in a two-piece set, in two different sizes. 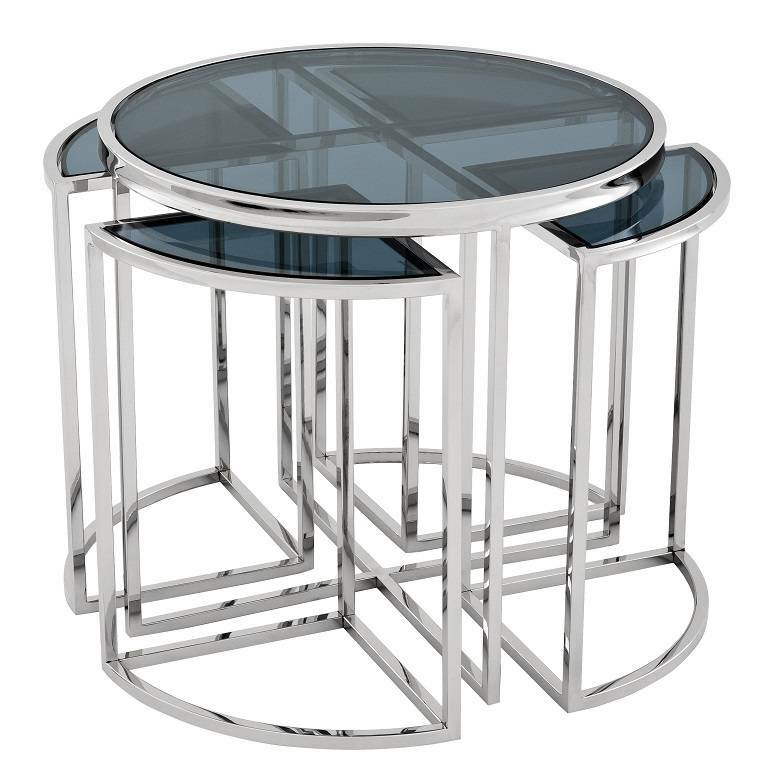 The tables combine small polished stainless steel legs with a black glass finish for the tabletop. The Concentric design side tables create a lovely, modern and contemporary look. 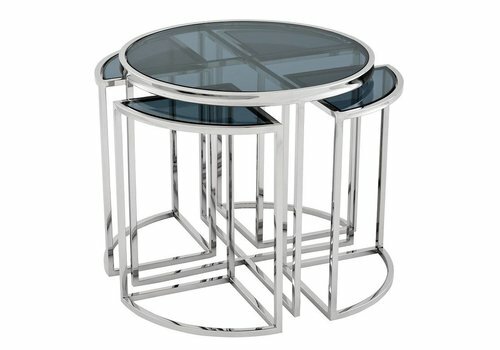 Will these tables be the next addition to your living room or sitting room to complete your contemporary or modern look? Eichholtz is a Dutch brand with a global reputation in the interior design world and has been around for more than twenty years. They're known for their high quality and luxury detailing, and they have an extensive collection of furniture and interior accessories. At WDS, you'll find a wide selection of Eichholtz products that blend seamlessly into our signature modern, chic style. Get inspired by decorative Eichholtz products that add a lovely touch to any interior! Would you like to know more about Eichholtz or are you looking for a specific product? Then get in touch with our customer service team on +31 (0) 33 828 0140 or at service@wilhelminadesigns.com. You can also order directly by clicking the green order button, it only takes two minutes. Not completely satisfied with your purchase? At WDS, you have a 14-day cooling off period.